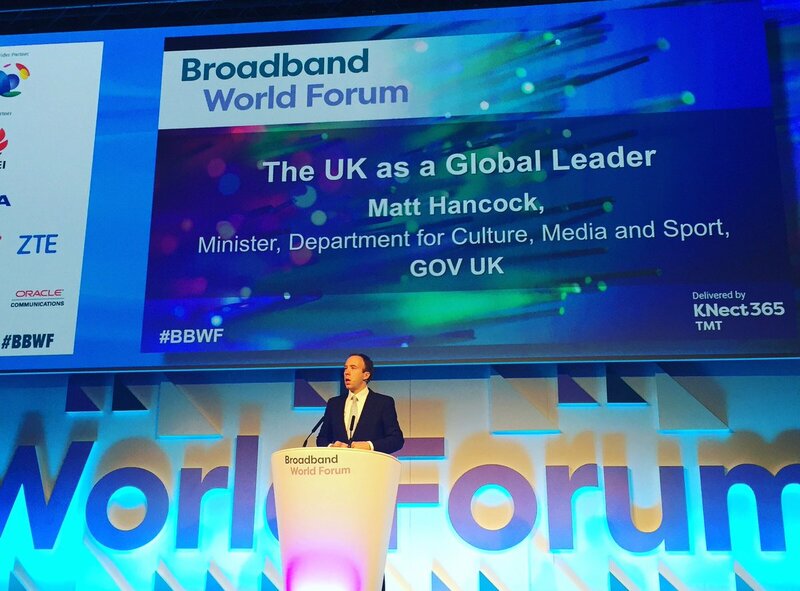 This morning Minister of State for Digital and Culture, Matt Hancock, addressed the Broadband World Forum and also gave his view of what needs to be done in the UK to become better connected. It was a passionate speech with many reflection over what has been done but also very inspiring for the future to come. Minister Hancock was very clear in his statements for the future. Fibre is here to stay. Demand is here. Fibre is the new electricity and there should be nobody left behind, one comment on todays newly presented legislative proposals of the European Commission revising Europe’s telecoms rulebook.